The vibrant Parish of Our Lady of Kāpiti, Te Whaea Tapu o Kāpiti, takes its name from the statue of Our Lady on the hill overlooking Kāpiti, and extends from Pekapeka in the North to Paekakariki in the South. 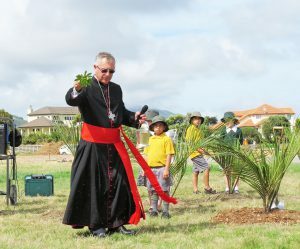 The site of our new school and hall, blessed and opened By Cardinal John Dew in March 2016, and soon to be built new church and parish offices, is right in the middle of this fast-growing parish and just two minutes off the expressway in the newly named Presentation Way. To have secured this land for the current and future needs of our parish and to have already built our new school and hall is nothing short of miraculous. 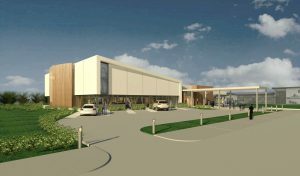 Now in February, we begin construction of our new church to be followed in stage two with parish offices and meeting rooms. 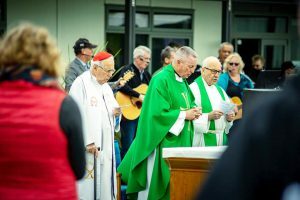 We have been blessed by the wisdom and leadership of our Archbishop, Cardinal John Dew, and his encouragement for all parishes in the Archdiocese of Wellington ‘to build a future full of hope’. 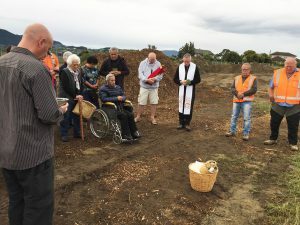 That is exactly what our forebears did here in Kāpiti and that is why we have built on their wonderfully generous legacy of faith and hard work. The huge progress we have made together over the last four years would not be possible without the profound support of our generous parishioners, benefactors, and sponsors. 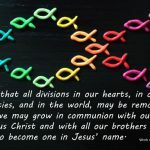 Neither would it have been possible without the huge work parishioners have done to build the community spirit, for it is only within community that we shape and reshape our future in Christ. Please join us on our annual pilgrimage on 10 February 2019 at 2pm as we gather to give thanks for God’s providence at Our Lady’s Statue of the Immaculate Conception. The Rosary and Litany of Our Lady will be recited. Thank you for your part in making our dream of a future full of hope a reality. 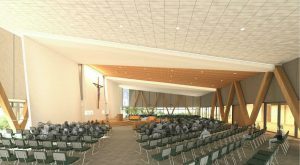 At Our Lady of Kāpiti Parish we are very much at the sharp end of our building project, being our new church and community parish centre. The foundation holes are in place, our parish relics have been buried on the site, and our church construction is about to move skywards. Meanwhile, our school has just successfully completed its first year in its new location. What better time to reflect on the journey that got us to this point? 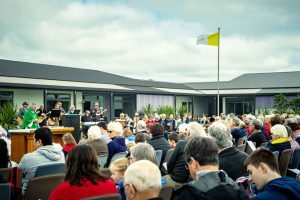 It commenced with two parishes combining to become Our Lady of Kāpiti Parish. They were two parishes quite different in demographic; but there has been quite a lovely spirit of togetherness take over under the shadow of Mary’s statue high on the hill overlooking Kāpiti. 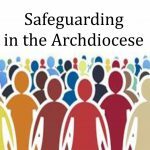 The concept of a new church, community parish centre and school, all on one site, came into being in 2014, under the stewardship of Cardinal John Dew. So the ‘posse’ was assembled. 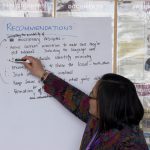 Our Lady of Kāpiti Parish has a richness of quality people with an enormous diversity of gifts. When a particular talent was needed, it always appeared. The ‘war cry’ became ‘Let’s build a Church’. The variety of community and fundraising initiatives was amazing. So many people were contributing something. So many different functions all aimed at making dollars to go toward the new church. 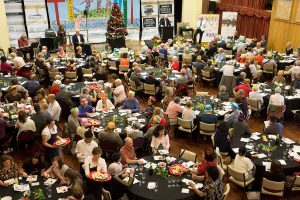 Dinners, with entertainment and auctions, debates, guest speakers, a regular luncheon group meeting in people’s homes, theatre parties, talent quests and people using Trade Me to convert old goods into cash for the project. After Mass produce and cooking stalls, a gala and other items also added to the mix. Then of course donations, bequests and planned giving continue to be most significant. We have had some sponsors and supporters, from both within and also beyond the Parish, who have been magnificently generous, all contributing to where we are today. Our aim once the new church is open, is that when any parishioner enters they will be able to feel a degree of pride, satisfaction and contentment, that they did their bit to make this happen. Cardinal John Dew blessing site. 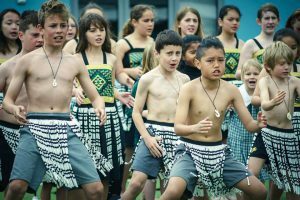 OLOK School Kapa Haka group.